This Feels Just Elegant! The Monroe Chair. Inspired in Marilyn Monroe‘s iconic white dress – number one outfit in movie history – from Billy Wilder’s ‘Seven Year Itch‘ (1955), award winning designer Alexander White introduces us into a whole new experience of sustainable armchairs: the Monroe Chair. Comfort. Simplicity. Stunning Elegance. Are some of the concepts that describe this morphing and unique armchair. The Monroe Chair is an experiment of form and purpose to simplify the manufacturing process of an armchair through repetition. 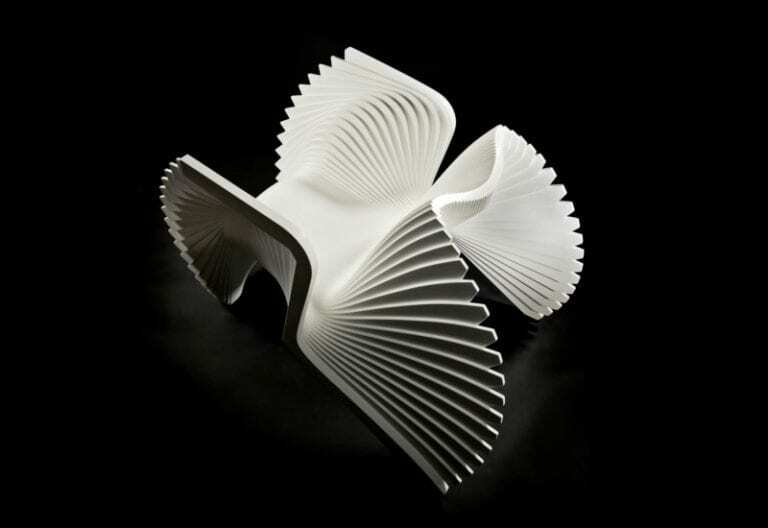 By effectively producing a batch of 82 CNC identical components that swing around a main axis, the result is an astonishing yet complex-looking curved chair. Achieving the correct shape was the main challenge as the identical components of this design were aimed to play morphing: the back leg turns into the backrest and the armrest into the front leg, so a balance between style and comfort had to be found. Versatility at its best! What started as a simple sketch was later developed and produced. But it took Alexander White several models to perfect the ‘aesthetics and apparent comfort of the chair’. 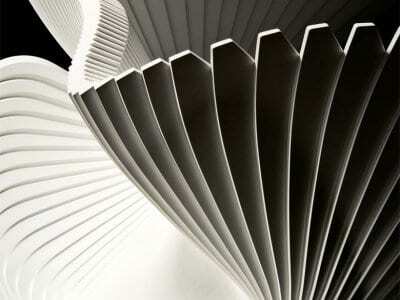 A full size prototype was created in order to understand the boundaries and balance of this unconventional piece. 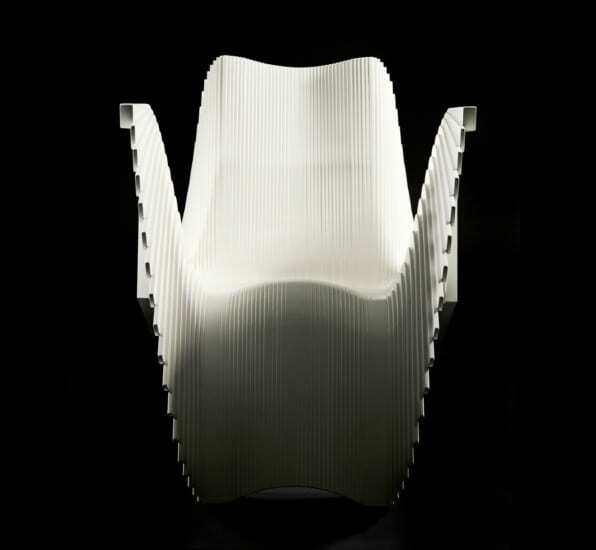 The Monroe Chair project was launched in February 2011 in Pewsey, Wiltshire, UK to be presented at the Candid Art Galleries in Isllington, London, in October that same year, and won the Golden A’Design Award in the Furniture, Decorative Items and Homeware Design Category 2011-2012.